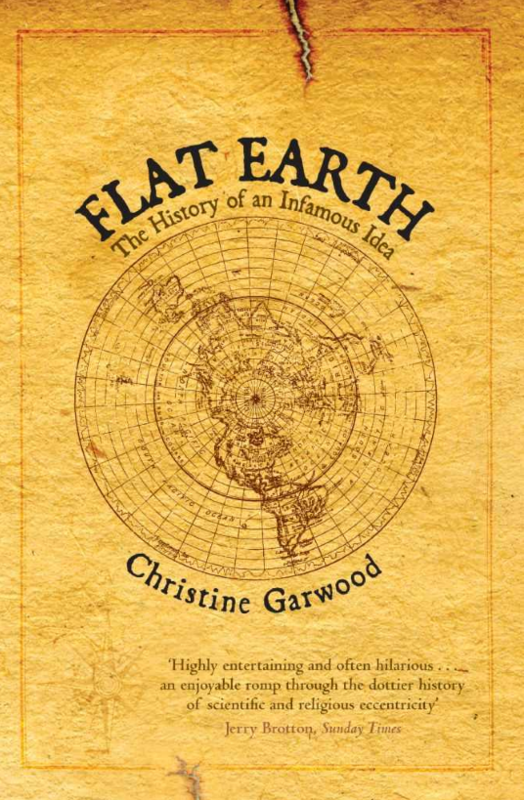 Until I read Christine Garwood’s book Flat Earth: The History of an Infamous Idea my idea of people out there who really believed the earth is flat was that they could only be as mysterious and unfathomable as leprechauns. But they really have existed these past 200 years and courageously taken on the whole world in what they have believed is their fight for sanity and reason. The most enlightening insight I took from Garwood’s history is that flat-earthers for most part have been motivated by the same noble ideals as the best of us. It’s just that, well, they see things a little differently. Or rather, they see the same things we see but they want the rest of us either to use more common sense and/or have more faith in the Bible. They hate the idea that most of us are gullibly swallowing what the professional elites are trying to sell us. They want science democratized and the demos to be more true to God. How can we fault anyone for living by such ideals? Christine Garwood further informs us that much of the ridicule we direct at flat-earthers is fueled in part by our own ignorance. When we assume that flat earthers are no more advanced than the people of the dark ages or even earlier primitive times then we are actually demonstrating a key point of the flat-earthers. Flat earthers argue most of us blindly accept, uncritically and without any request for supporting evidence, whatever the professionals tell us. We trust too readily. Even many of the professionals are deluded. The fact is, and Garwood explains the evidence for this extensively, that since the fourth century BCE most people who are on record as having given the question any thought have believed the earth is round. How we came to think otherwise and how myths about Columbus became common knowledge is explained in the prologue and first chapter of Flat Earth. Hint: Washington Irving of Legend of Sleepy Hollow and Rip Van Winkle fame is largely to blame for the mischief.